Whether you’re planning a garage sale or an annual blowout sale for your clothing store, you need to get the word out far and wide. Flyers are a versatile and cost-effective way for individuals as well as small- to medium-sized businesses to successfully target your ideal audience and make sure they know where to find you and what to expect when they get there. 1. Navigate to the Flyer Maker App at Placeit. Sign Up for FREE! Enter “Sales” in the search bar. All available sale flyer templates will be selected. Peruse the selection available. 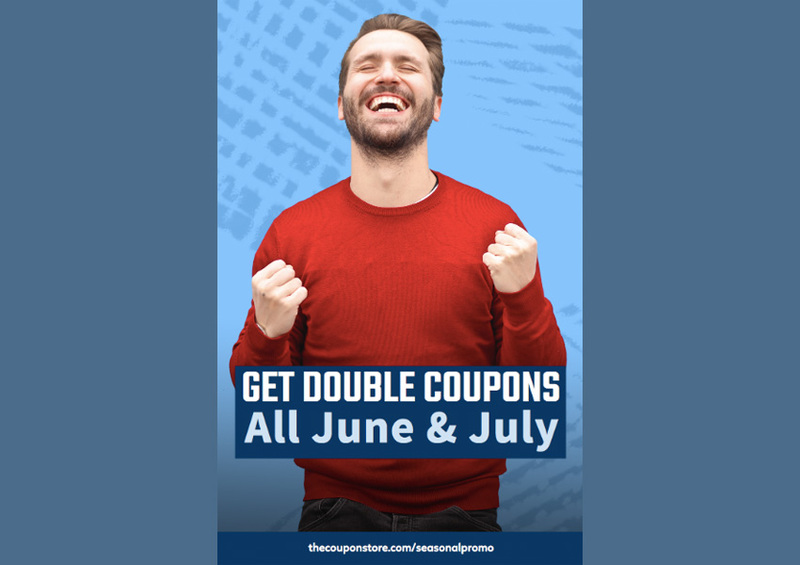 Double-click the sale flyer template you like. This will open up the online flyer generator. To use the flyer generator, starting with the controls on the left and working your way down from the top, you can add your text, change the font style and colour, and change the flyer photo or upload your own photo. Moving to the controls on the right and working from the top, you can change the colours used in your flyer, as well as the icons and textures. Once you’re satisfied with your design, hit the Download button at the top of the screen and download your design for a small fee. Alternatively, if you regularly need to create flyers, posters, social media banners, etc., then the monthly plan may be the best deal for you. And that’s it. You’ve got a customised professional flyer, ready to go. Nothing says Happy Hour like a pretty cocktail. 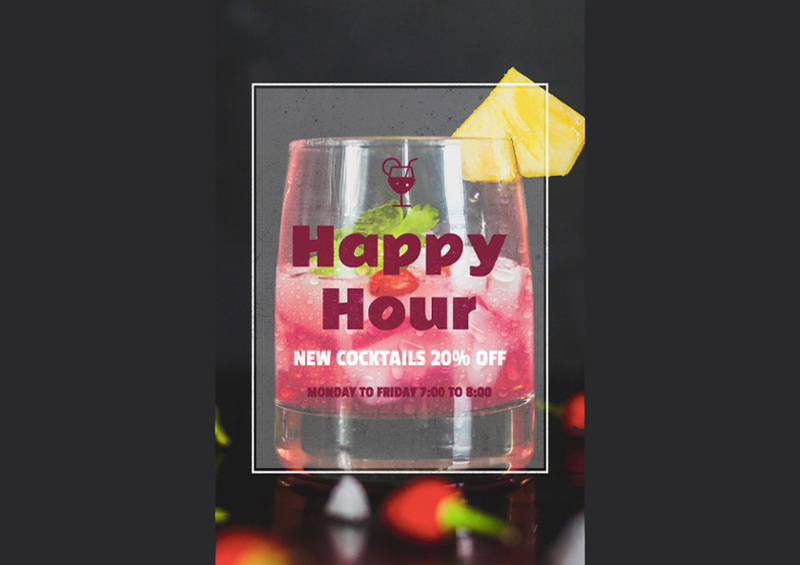 Bar Promotion Happy Hour Online Flyer Maker has loads of images of pretty cocktails to entice prospective clients to flock to your happy hour. Use the flyer generator to add your details, choose your font style and colour, and you’ve got the best flyer ready to go. When you’re selling a house, you want your flyer to reflect the value of the property you’re selling. The Open House Flyer Template will allow you to do just that. This professional and elegant ‘home for sale flyer’ is easy to customise. 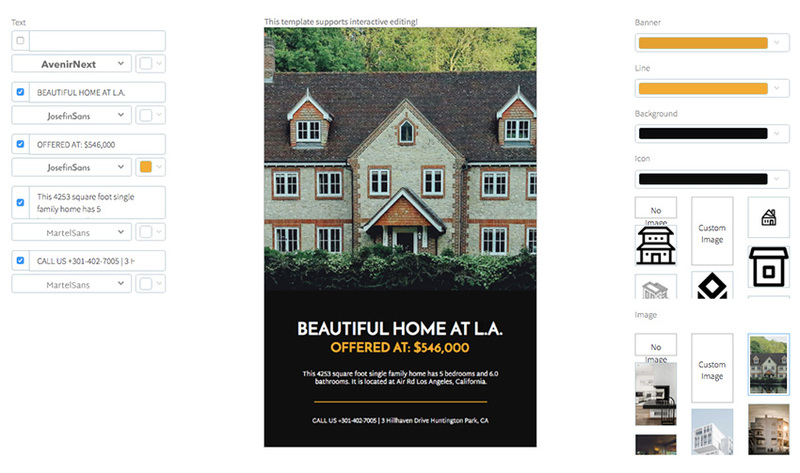 Just replace the placeholder text with your own details, upload an attractive photo of the home that’s for sale, select colours that reflect your brand if you’re a company, or optimistic colours like yellow if you’re an individual, and you have a terrific flyer that will catch the eye of your prospective buyers. Looking for a fashion-themed flyer that you can use to promote your sales. 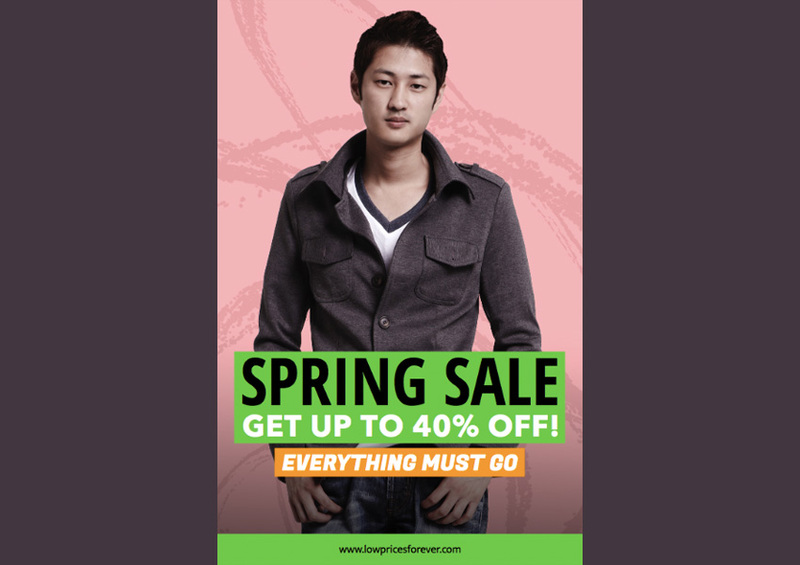 The gorgeous Online Flyer Creator for Clothing Store Sales is the answer. Just select one of the photos provided or upload your own, customise the fonts and graphics, and you’re ready to go. 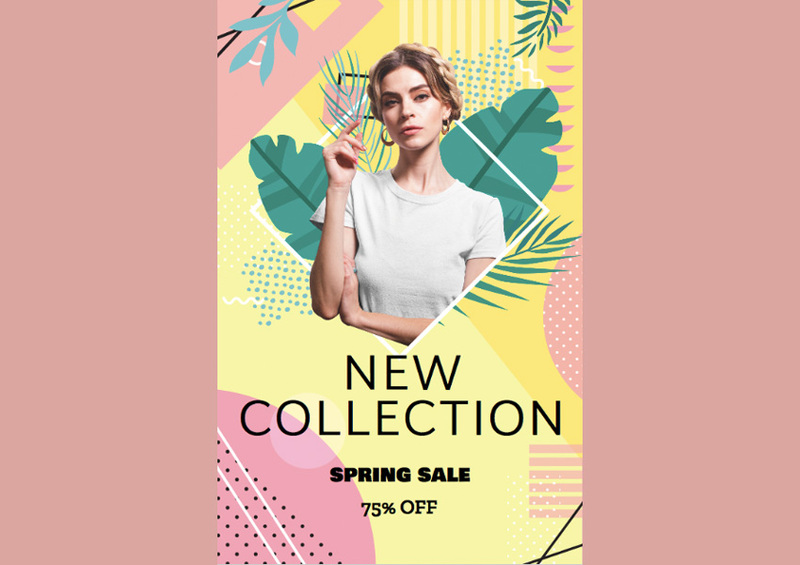 Keeping with the fashion theme, Online Flyer Maker for Spring Sales is another terrific sale flyer template for clothing stores. 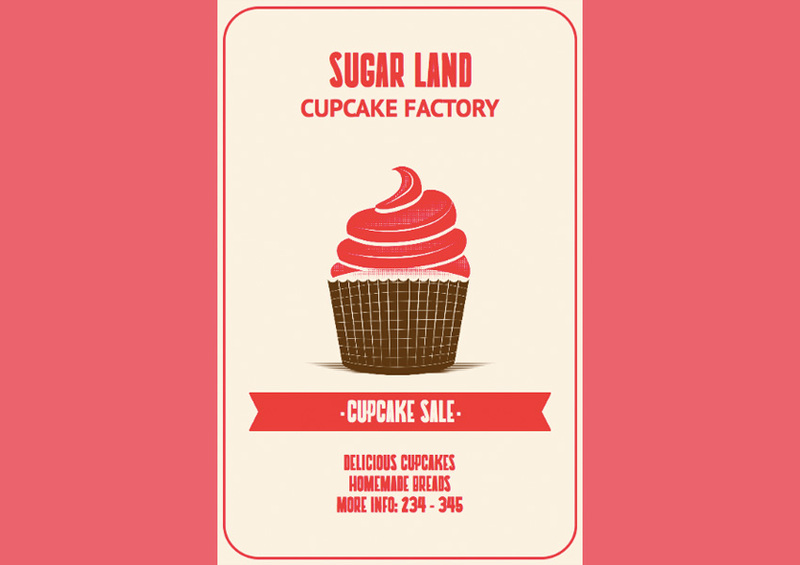 Make sure your cupcakes sell like hotcakes with the Online Flyer Creator for Cupcake Shops template. The template provides loads of terrific illustrations to choose from that will add a wonderful vintage twist to your flyer creation. Even countries that don’t celebrate Thanksgiving have gotten into Black Friday Sales, which is slightly weird and wonderful at the same time. 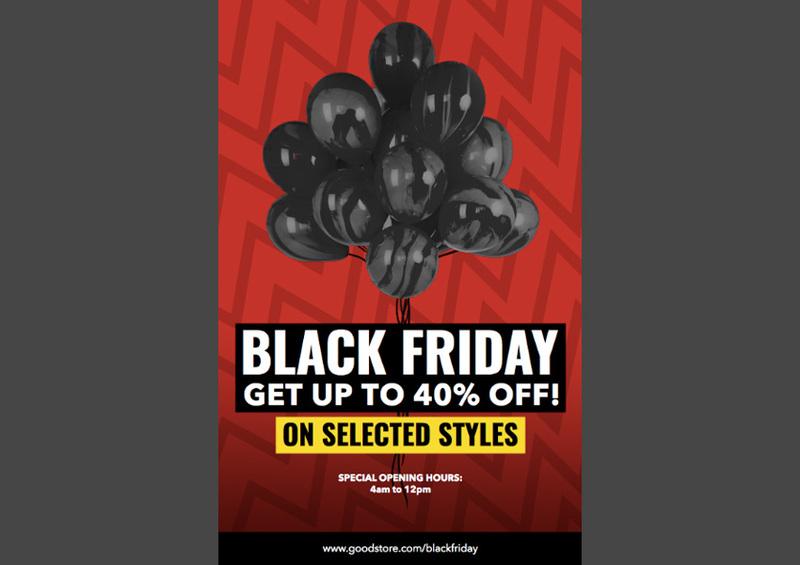 Get your Black Friday Sales groove on by customising this Flyer Template for Black Friday Sales. The great thing about Placeit templates is that you can customise them for different purposes. 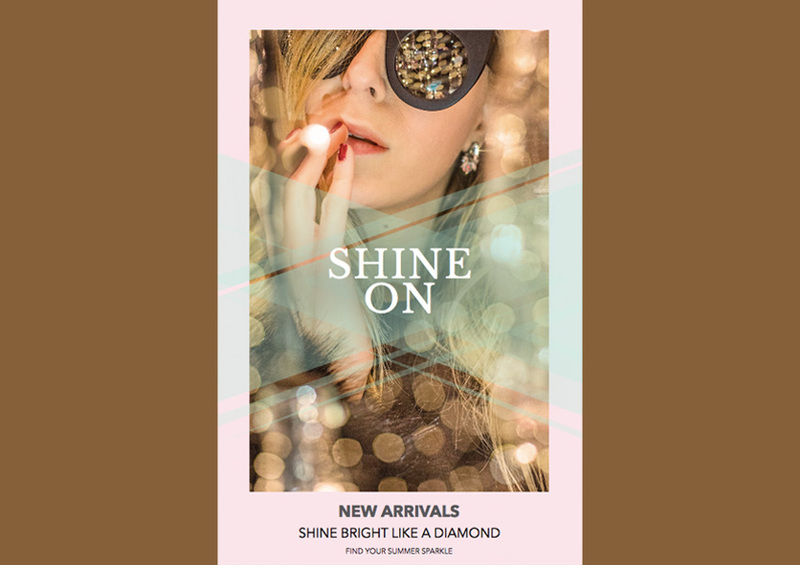 This Flyer Maker for Jewelry Stores is a great example of that. 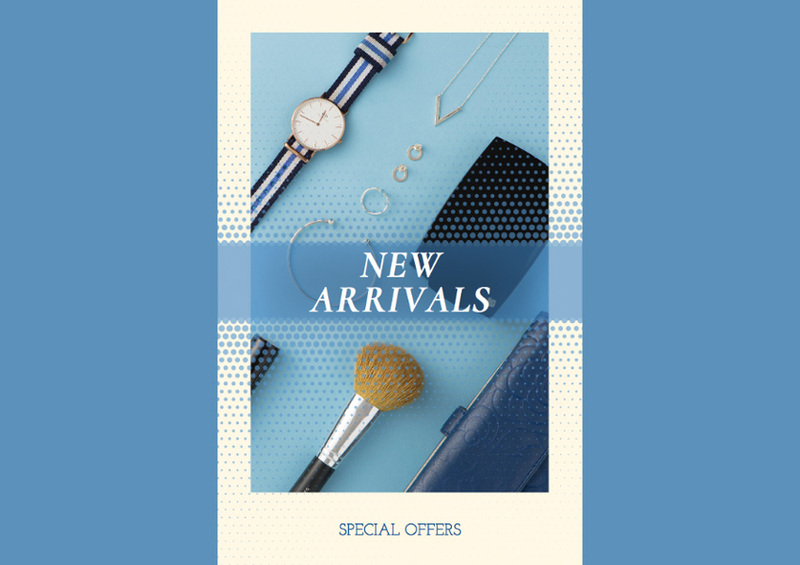 You can replace the text “New Arrivals” with “Sale”, “10% off”, or whatever text you like and convert a beautiful jewellery store flyer to a sales flyer for a jewellery store. 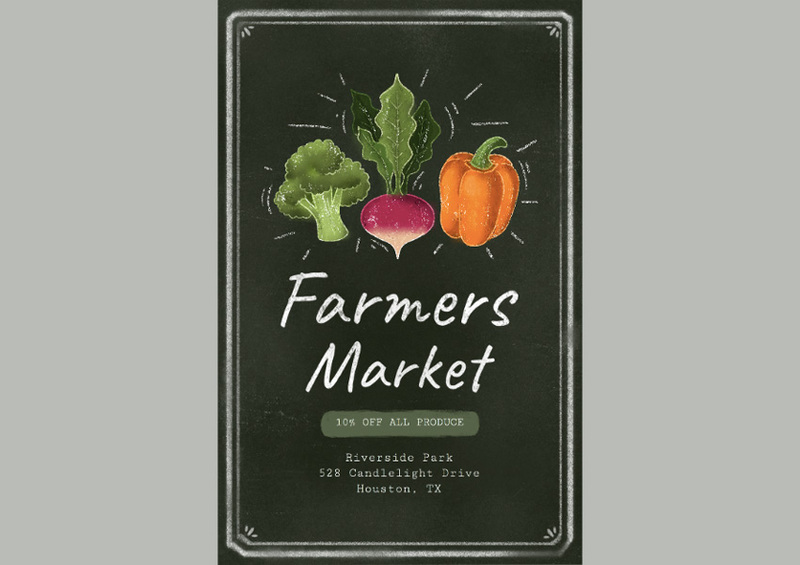 If you’re selling your produce at a farmers market and want to let your customers know you’re having a sale, this Farmers Market Flyer Makertemplate can be customised to let them know. For big-ticket items, you especially need a sales flyer that says trustworthy, reliable, and professional. 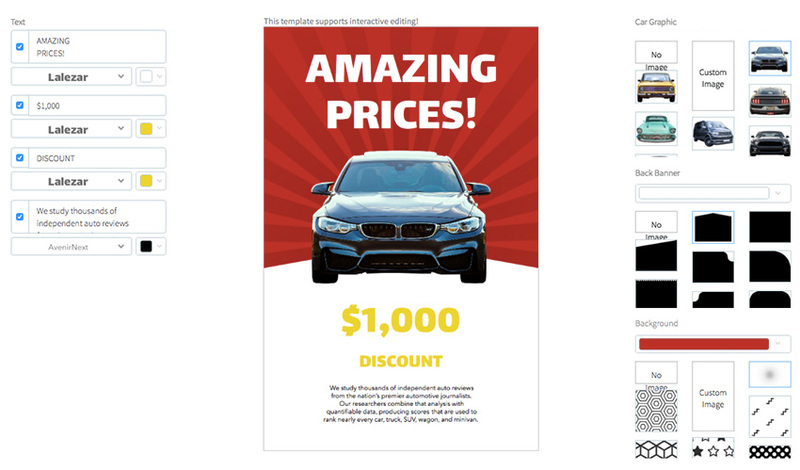 The Automotive Dealer Flyer Maker is the perfect flyer for advertising discounts and special deals on cars. If you regularly need to create “house for sale” flyers, Flyer Maker for Real Estate is the ideal choice for you. 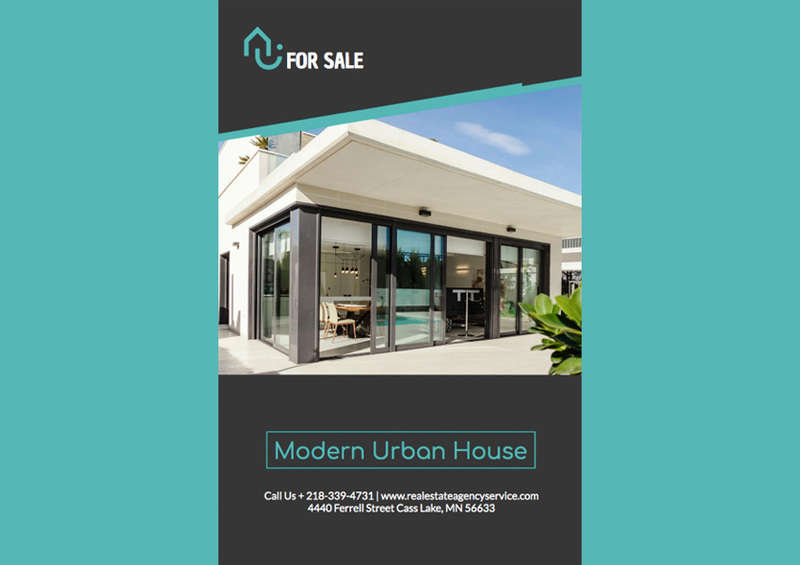 This tastefully designed flyer provides gorgeous photos of different styles of houses, but if you prefer you can also upload photos of actual houses for sale. Customise it, as usual, by entering your details and selecting your preferred font and colour themes. A clever approach to a sales flyer design, Sale Flyer Maker with Colorful Shapes replaces photos or illustrations of the products for sale with abstract shapes and riotous colours. It promises patrons that their shopping experience will be fun. Of course, you’d still need to add text to let people know exactly what it is you’re selling. Create an enticing bake sale flyer for your next sales event with the Holiday Bake Sale Flyer Template. Use the stock photos provided or upload your own photos of your terrific cakes and cookies. 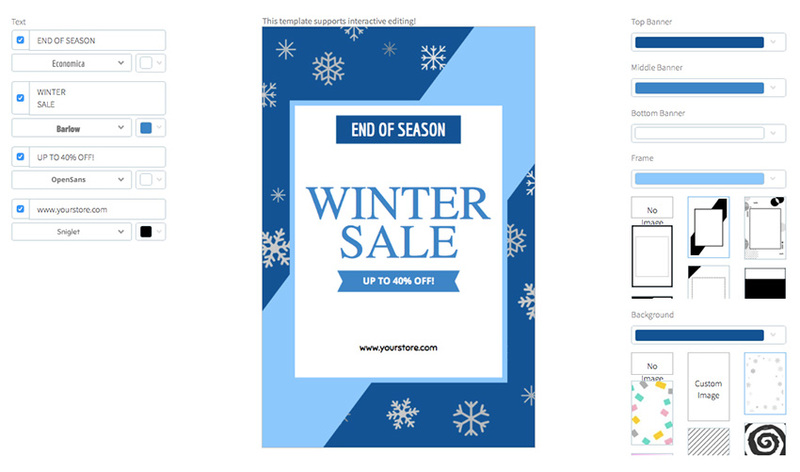 The template offers loads of icons to choose from to identify your sale for Christmas or other times of the year. 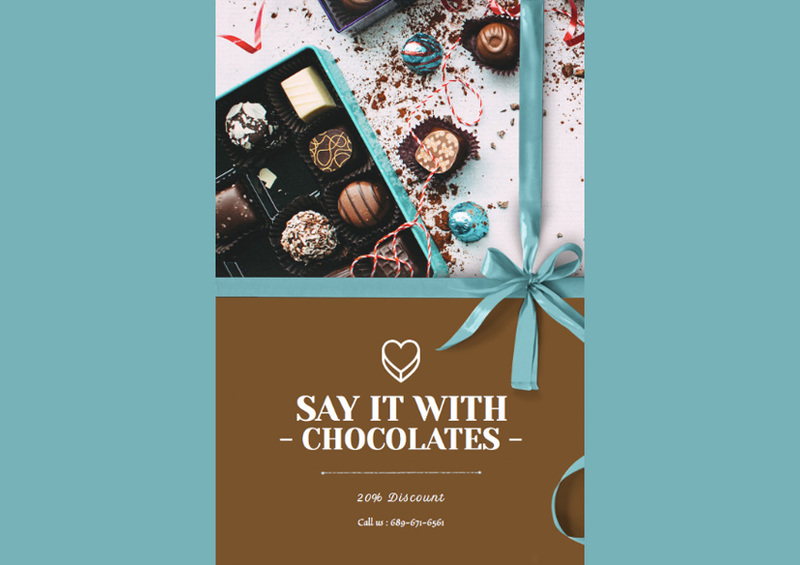 This is an excellent sale flyer template for chocolate or flower shops. Just select the right photo for your business, or upload one of your own beautiful photos, add your text and sales details, choose colours that reflect your brand or taste, and you’ve got one enticing sales flyer ready to go. 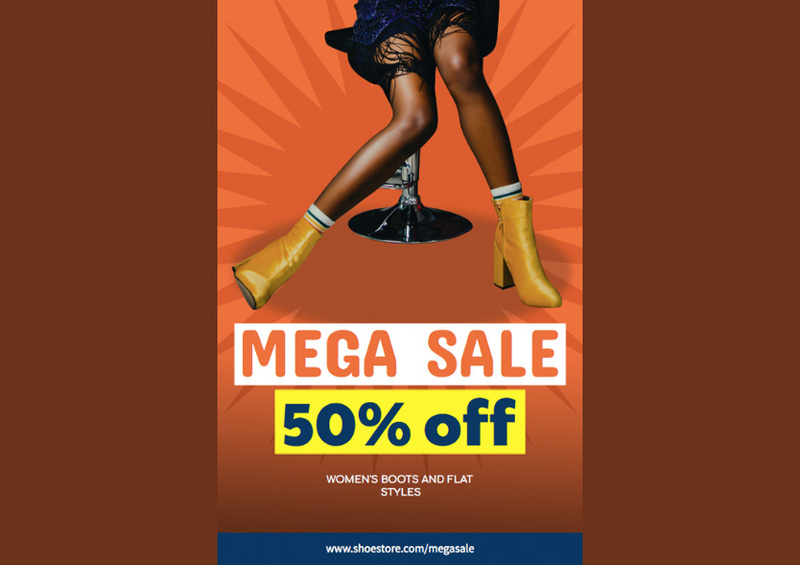 A trendy and dynamic sale flyer template for clothing or footwear retailers, Online Flyer Creator for Sale Flyers offers a good range of photos, graphic backgrounds and text banners featuring various percentages off, that will help you create a stunning sales flyer for your business. 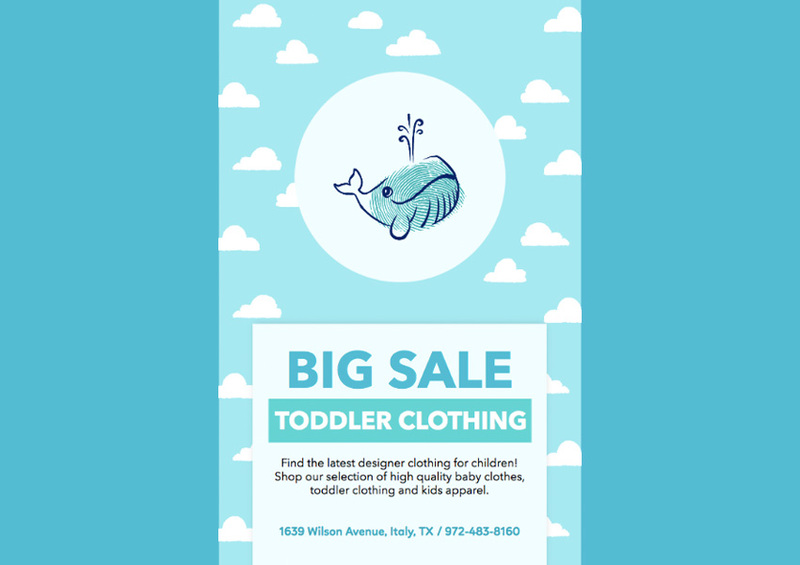 If children are your target market, this super cute sales flyer template, Children’s Clothing Brand Flyer Maker, is just what you need for your next sale. The template would work equally well for clothing, toys, games, or any other product you sell. 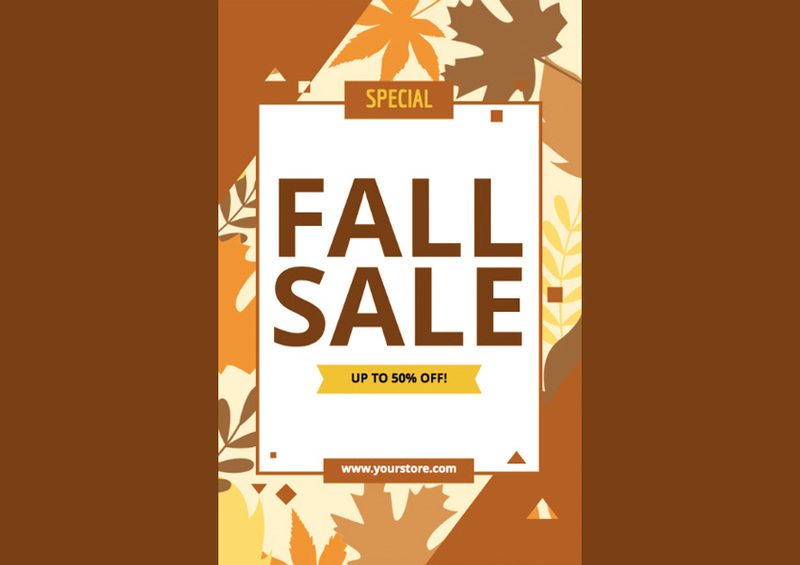 The Sale Flyer Maker with Fall Theme is a terrific sales flyer template for any business holding a sale in autumn. Use the beautiful background graphics provided or upload your own photograph if you prefer. 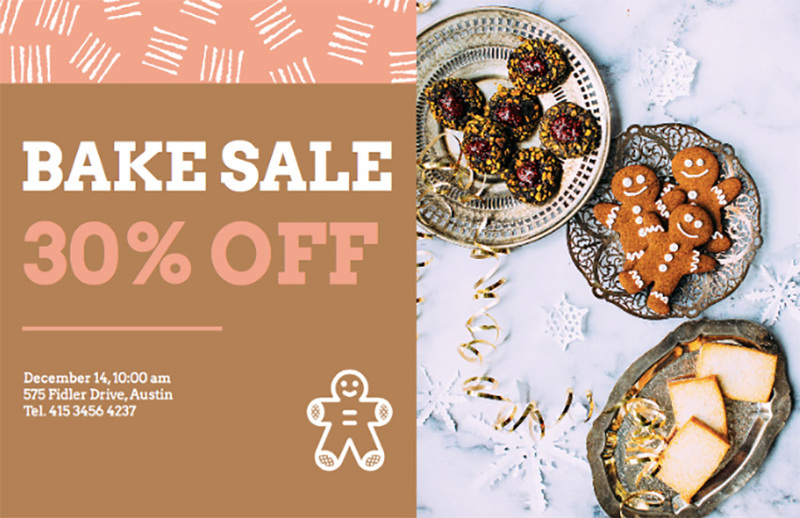 If you’re in the makeup or jewellery business and looking for the best flyer to advertise your upcoming sale, check out Flyer Maker Template for Jewelry and Makeup Ad. This template provides you with a number of gorgeous photos of women and men modelling jewellery, but you’ll probably want to upload your own photos showing your own stock and the brands that you carry. Having a garage or yard sale? 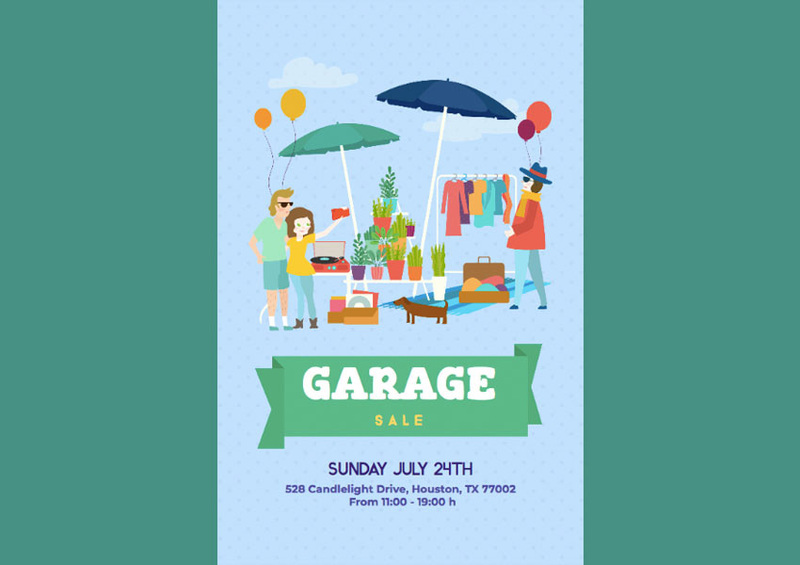 Let your neighbours know by creating the perfect garage/yard sale flyer with the Garage Sale Flyer Template. You’ll love the fabulous, quirky illustrations the template provides, and so will your neighbours and friends. As with all the templates here, you don’t need to do more than add your info to have a cool flyer ready to print. 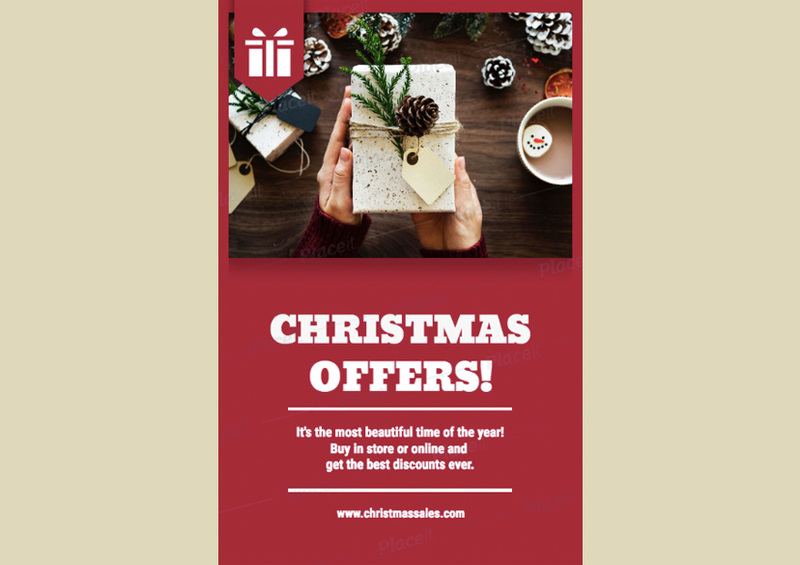 The winter sale flyer has a simple, clean design that uses a background of solid colours and geometric shapes under bold text to arrest the eye. If you’re interested in creating a sales flyer in a modern, minimalist flyer style, this is it. Who doesn’t love a coupon? They make you feel as if you’re accessing savings that others aren’t privy to. 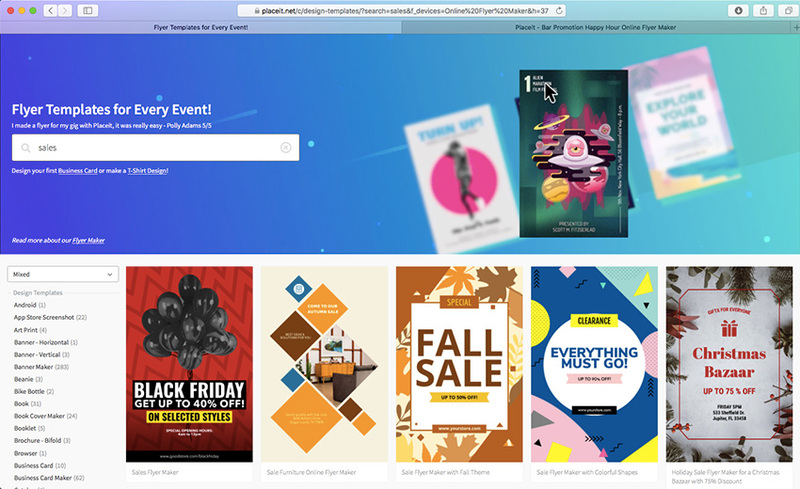 Advertise your coupon offers with this fun Online Flyer Maker for Coupon Flyers. All you need to do is add your details and it’s ready to use. Another beautiful sale flyer template for the real estate market. 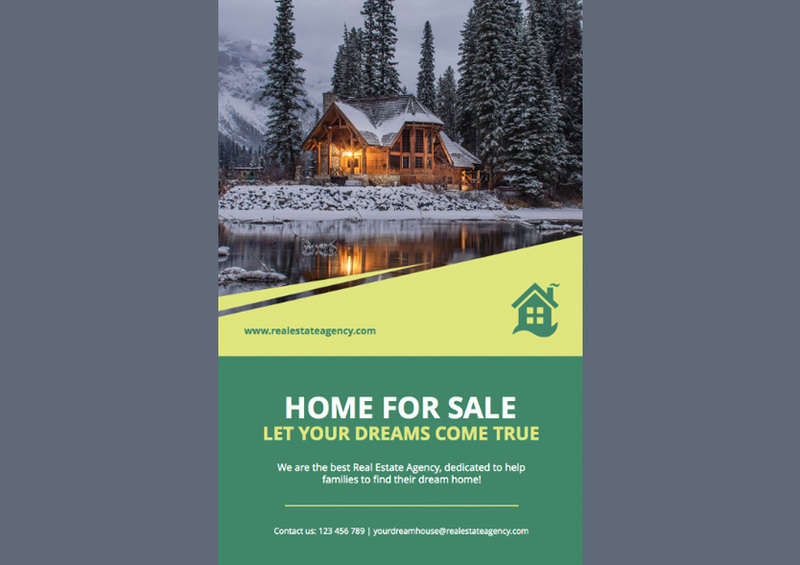 Add your details, change the colours, and add your own house photos to turn the Real Estate Agent Flyer Template into your own customised “house for sale” flyer. 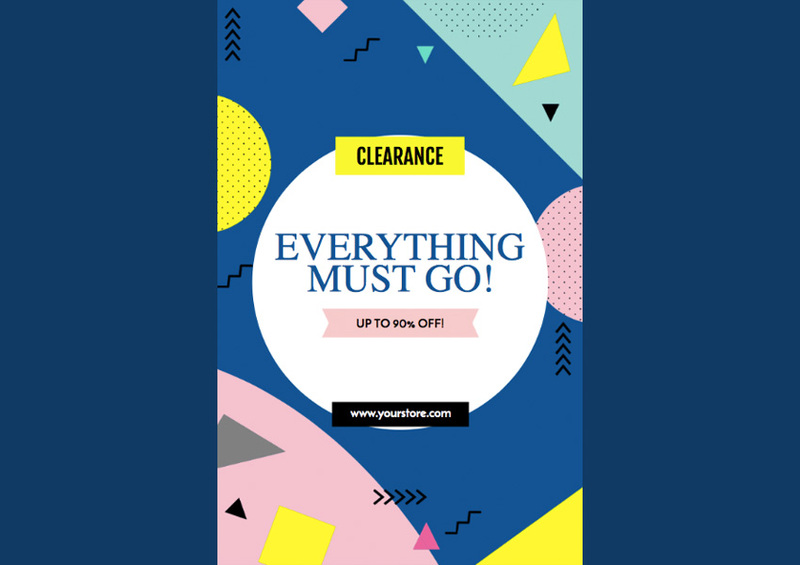 This cool blue flyer is perfect for enticing customers to your jewellery sale. Add your sales details, address, or website, and you’ve got the perfect sales flyer ready to use. Christmas is an expensive time of the year for many, so if you can offer great bargains, you’re bound to be popular with shoppers. 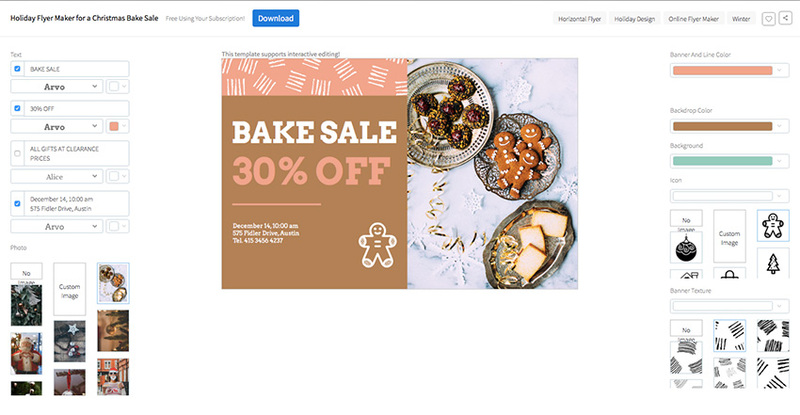 Create your own unique holiday sales flyer with Holiday Flyer Maker for Christmas Offers, and no one will be able to resist.